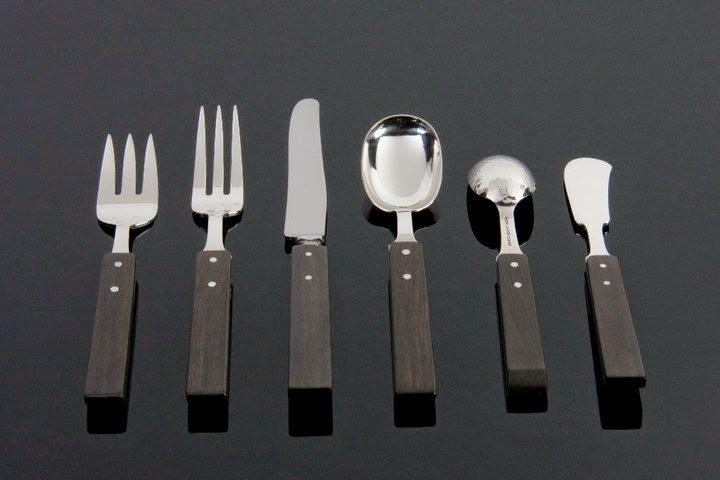 Whenever I entertain guests in my home, I always take into consideration which flatware set I will use. Sometimes I use my Puiforcat ones. Sometimes I use my vintage American 1960s Reed & Barton set. But my favorite set is, no doubt, Town & Country from Allan Adler. This Californian silversmith hand made all his flatware which is rarely seen in this much automation world. I love the fact that each piece essentially is unique. The design is classic, streamlined, and restrained.